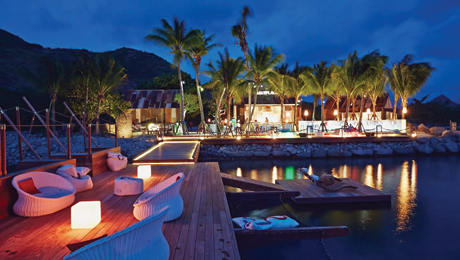 A superyacht Marina & luxury resort in St. Kitts & Nevis, with bespoke residences and amenities; they can accommodate vessels up to 300 ft, with experienced superyacht Captains & professional staff to help with itineraries & VIP services. “Super cool guy, and a real waterman.” A high recommendation received for this company which run freediving and spearfishing courses and tours in Moorea. Based in Nelson’s Dockyard, Frankie Hart came well recommended for his Sports Fishing Charters. Operating “Overdraft” for many years, Frankie is highly experienced and you will have a great day out on the water and most certainly catch a fish! Based in Bequia, Michael Bynoe operates a 32-ft motorboat, in which he offers day fishing tours featuring good Kingfish, Tuna and Mahi Mahi fishing. He also organises local beach picnics offering BBQ fish and chicken, fish broth, rum punches and ice-cold beers. A private charter for your guests or group ‘crew getaway’ is the way to go.